as Red Penn Reviews for Booksellers NZ, and NZ and global authors of her choice. When work began coming in for proof-reading and editing for authors, Red Penn Services came into being. Since then, we have helped managing poetry events for a local group, and writers publish their own work and the author’s release event and setting up their marketing media. Last year the team was joined by Ruby, responsible for team morale. Red Penn Services has been helping writers become authors since c. 2012, beginning with NZ author, Deryn Pittar*, and her then publisher. 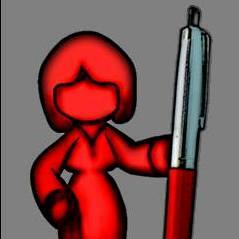 Red has been contracted to Roane Publishing, and Inkitt publishing, and to individual authors. Effie Molina It was a pleasure working with you! Rebecca Brennan Hart Miss you already. Xoxox and then some. Ginette Paquette-Gadbois … Please know that it was a pleasure to work with you. Thank you for all your help. To new beginnings! Gail Ward Olmsted … I have enjoyed working with you so much! Jana Vasilj-Begovic Editing services are of the highest quality. I am very thankful to have had the fortune of working with Lynne on finalizing my manuscript. Jaylee Austin Very helpful, honest, and communicative. I appreciated the open conversation and respectful dialogue.